Cold weather keeping you from climbing rock? Come experience the spectacular ice climbing in New York’s Catskill Mountains this winter, and gain a whole new perspective on what climbing has to offer! Discover cascading waterfalls, gullies, and steep runnels frozen with awe-inspiring ice formations made just for climbing. As Hudson Valley’s most knowledgeable and skilled climbing guides, you can trust us to give you proper techniques for ascending ice. We’ll help you challenge yourself in this crystallized environment and we’ll provide the crampons, boots, technical ice climbing tools and guidance you need to succeed. Mountain Skills Climbing Guides prefers not to take children under 12 on ice-climbing excursions. Never ice climbed before? Not a problem in this course! We will get you out on the ice and have you swinging the tools like a pro in no time. Whether you’re in Stoney Clove, Deep Notch, Moore’s Bridge or the Asbestos Wall, you’ll be blown away by the breathtaking scenery. This course covers basic movement on ice, how to swing ice climbing tools properly, efficient techniques for travel over snow and ice with crampons, and the belay commands for correctly ascending and descending ice climbs. This course is a great way to discover the magic and appeal of ice climbing. This special two day program starts from the very beginning of ice climbing basics and finishes with you climbing multi-pitch routes in the Catskills or Adirondacks. You will learn knots, climbing movement, belaying lead & top rope, voice commands, gear/screw removal, rappelling and rope coiling and single pitch climbing on day one. On day two you will be taking the skills you learned on day one and putting them to the test by climbing multi-pitch routes in the Catskills or Adirondacks. This is an in depth instructional program designed to teach up and coming climbers the correct, efficient way to move up and down the cliff. This course is designed for climbers with some prior rock or ice climbing experience. You will have the opportunity to explore some of the best Catskill multi-pitch ravine climbs (Buttermilk, Wildcat, Hillyer, Viola, etc). If conditions allow, you might even get to climb the Catskills’ jewel, Kaaterskill Falls or the five pitch Platte Clove waterfalls, with the Japanese, Bridal Veil, and Plattekill Falls. If challenging, steep ice is what you’re after, let us show you the Devil’s Kitchen or the Black Chasm. If you’ve been on the ice for a while, top roping and following, we’re happy to introduce you to the art of leading on ice. We’ll start your day by working through each piece of equipment, as well as it’s functions and limitations. Next we’ll teach you how to place ice screws properly and build solid two point and three point anchors. You will also learn how to belay in a multi-pitch setting off the anchor with a Gri-Gri, Guide ATC or Reverso 3. Finally, you’ll hone your skills on the sharp end with mock leads; that is, you’ll be protected by a top rope while you lead. You and your instructor will then simultaneously rappel your route and critique each screw placement. This comprehensive approach to ice climbing can be taught in a block of simultaneous days, or stretched out over several days throughout the season. We offer instructor/client mentoring programs for climbers looking to progress in every facet of climbing. One on one personal instruction with a schedule you make up when your calendar allows. From leading on rock to leading on ice or maybe you just want to climb routes with the same guide every week, our mentoring program works with climbers that want personal instruction with a personal touch. We offer fair discounts to our clients that frequently climb with us on this type of program. 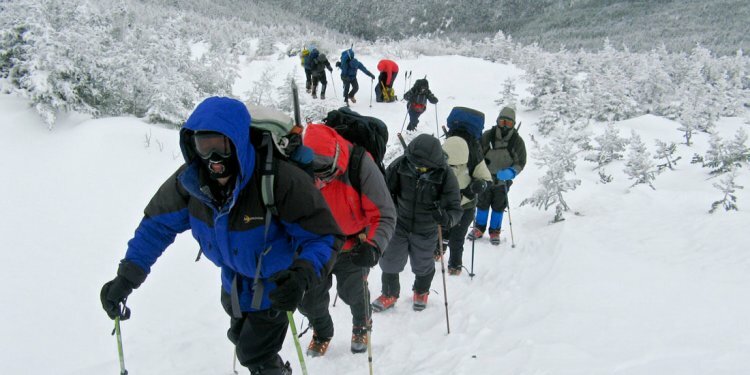 Mountain Skills Climbing Guides is proud to offer ice climbing in New York’s Adirondack Mountains, Smuggler’s Notch in Vermont, and the White Mountains in New Hampshire. If these routes are more convenient or more exciting for you, we would be more than happy to take you there! Mixed climbing is fast becoming a favorite past time in the Catskills. If you already have a strong background in ice climbing this is your next step to becoming a well-rounded winter climber. By employing your trad climbing skills learned while rock climbing in the Gunks and your ice climbing skills learned in the Catskills we can turn your day of climbing into something completely different. Your addiction to crossing off routes completed in your guide book or adding new nemesis routes to your list of unfinished projects will certainly grow with mixed climbing. Note: Ice climbing is inherently dangerous. All those who participate in ice climbing with Mountain Skills Climbing Guides do so at their own risk.